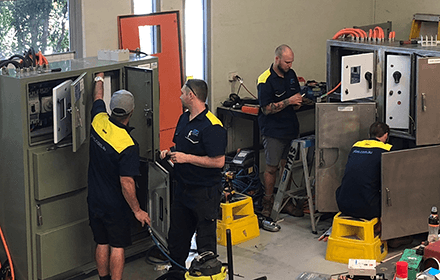 PTAS conceived, designed, built the first arc-flash containment modular outdoor switchboard system, NATA tested and certified, fully designed, developed & manufactured in Australia. It is a unique innovation that will reduce injuries to personnel and public from unpredictable, sometime catastrophic incidents. An arc fault results from either a phase-to-ground or a phase-to-phase fault caused by occurrences such as accidental contact with electrical systems, build-up of conductive dust, corrosion, dropped tools, aging or poorly maintained equipment and improper work procedures. 2106 statistics indicate 37 people have electrical burn accident hospitalisations per year. 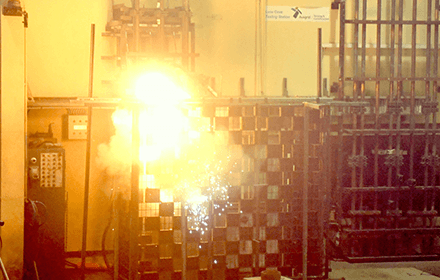 While the events represent less than 5% of incidents, arc flash accounts for 50% of the cost of electrical accidents. 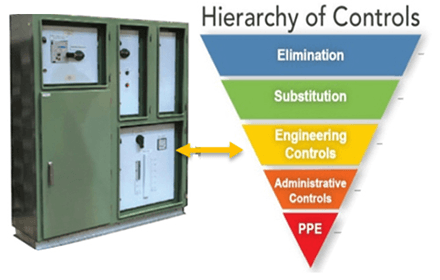 The technology developed and applied by PTAS to contain the destructive components of the arc-flash and arc-blast is incorporated in the design of its ABCD Modular Compact Outdoor switchboard. 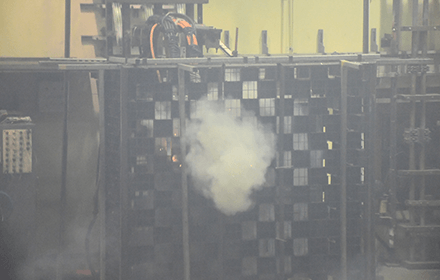 Containment of the products of an electrical explosion within the switchboard enclosure requires an understanding of fluid dynamics and mechanical structures. A robust and highly detailed manufacturing design that provides the structural capability to withstand extreme destructive conditions without dangerous exposure outside. Two ABCD switchboards were prepared are fitted out with typical components, one marine grade aluminium, the other in stainless steel to test structural differences. Testing laboratory required top entry feeders. Many variants of escutcheons tested. Testing required an arc fault of 20,000A for 0.3 sec, within each chamber of the switchboard, on load and line side. Safe containment requires the cotton squares placed 300m from the escutcheon door, (with no outer doors in place) not to ignite and stay closed. Verification and Certification by testing conducted at Lane Cove testing facility during March 2018, was for 20,000A for 0.3 sec duration, on both line and load side. 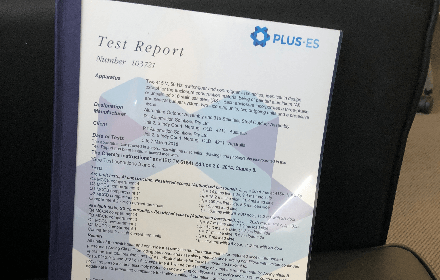 PTAS tested to the new AS/NZS 61439.1 standard and certified an solution for outdoor switchboards (Stainless Steel and Aluminium) with certification on arc fault containment (IEC/TR 61641:2014) and ingress protection. (IP66). A first for Australia. 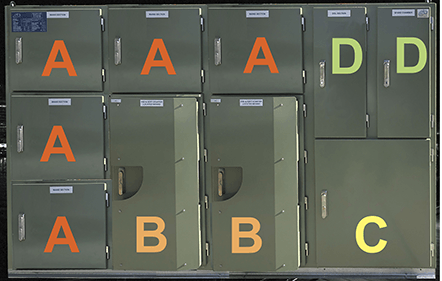 The ABCD board is a modular design as it’s impractical to do certification tests on every variant of outdoor switchboard employed by industry and public utilities. The test unit had four different sized modules, a wide range of functional escutcheons and two variants of exterior doors. Each module is certified and can accommodate switchboard functions used in 95% of outdoor switchboards built by PTAS for our heavy industry, resources and utilities customers. By engineering out the risk, the ABCD board improves safety of switchboard maintenance by reducing the need for personnel to wear bulky ‘PPE’. Relying on ‘Administrative Controls’ must be followed and supervised to be effective. Engineering out the risk is a higher order control that’s both cost effective and desirable. Employees can work more efficiently, with lesser overhead constraints to ensure their safety and that of the public. 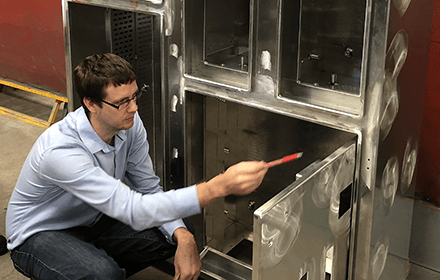 Designing two ABCD switchboards for destructive testing was a substantial financial commitment for PTAS. This video shows what we did to achieve Certification and some of its technical and operational achievements.